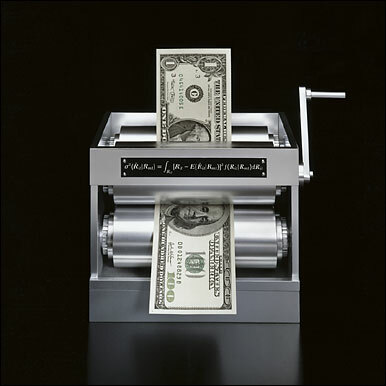 My cash position was getting uncomfortably high so I decided to put some of it back to work. 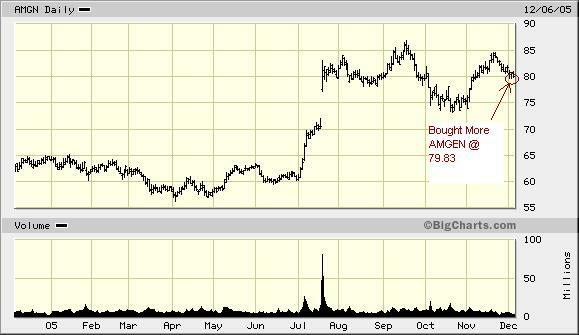 I nibbled at some more Amgen (AMGN) today. There's pretty good support for the stock around the $80 area so we'll see. I still have Pfizer to deal with... Everyone, who has Pfizer, is probably selling for tax loss purposes. Pfizer will probably pop a bit in January when all of the tax loss selling is finished. Amgen is Zacks's "Bull of the day" today. I'm tracking the results of the bulls of the day, so far the analyst recommanding AMGN (Jason Napodano) hasn't made really great calls, but I'd probably follow this one myself if I had some cash. I rarely pay attention to analyst calls / recommendations. I'm in the process of building a core position in Amgen. So if there's any pullback, I'll be nibbling at it.